This week, the hit rock band The Veronicas made an announcement about their upcoming tour plans. The group just made their highly anticipated return to music in September of this year, and are celebrating their breakaway single “You Ruin Me.” The band is also preparing for their first album release since 2009. The tour will kick off in Australia on February 12th, and from there, the singers will continue to tour around the world, delivering fans with an exciting new opportunity to see the group back together and live on stage. The group will be delighting audiences with a preview of some of the songs from their upcoming new album. Tickets for this massive new tour event are on sale now and available to the public for those looking to see the band back together and live on stage. The band System of a Down, has also announced their own tour plans for 2015. The band is heading out on a tour to commemorate the 100th anniversary of the Armenian genocide, with a new tour called the “Wake Up Souls” tour. The tour kicks off on April 10th in London at the Wembley Arena and will keep the group on the road through the end of April. Tickets are on sale now. This week, several big artists revealed their upcoming tour plans for 2015. One of the first big announcements came from the popular group, The Decemberists. The rock band revealed they will be heading out on the road for a brand new tour event that will span over the winter and spring of 2015. According to the announcement, the group will officially kick off their tour on February 11th in Dublin, Ireland. After visiting several major venues across Europe, the group will head stateside to round out their massive new tour. The US leg of the tour will kick off on March 21st in Portland, Oregon from there; the band will visit several major markets including Milwaukee, Chicago, Boston, New York and Atlanta. Currently, the tour is scheduled to wrap up on April 13th in Nashville, Tennessee at the Ryman Auditorium. This is the first time the band has toured in North America in more than three years. In addition to announcing their tour, the band has also revealed that they will be releasing a limited edition Black Friday 7” vinyl record that will feature several big hits such as “Fits and Starts” and “Make You Better.” Tickets for the tour go on sale at the end of the week. This week Canadian singer and songwriter Sara McLachlan announced that she will be adding even more US stops on her new international tour event. The singer has been supporting her latest effort, called “Shine On,” and now will be adding a second US leg that will begin after the New Year. The Grammy Award winning singer will start this new US leg starting in the end of February with a show on February 27th in San Antonio, Texas. This month-long run will come after the singer leaves Canada and Australia. The tour leg will keep the singer on the road until April 1st, where the songstress will wrap up her tour in Memphis, Tennessee. The singer has already visited more than 40 stops along her tour, and has been adding shows due to the overwhelming popularity of this event. During this tour, fans can expect to hear some of the singer’s biggest hits, including the 11-tracks that appear on her record “Shine On.” Tickets for the event go on sale Friday, November 14th to the public. After teasing fans about an upcoming big announcement, the hit group Above and Beyond made an official announcement about their upcoming tour announcement. The group will be hitting North America with a huge group tour that will officially kick off in 2015. The band will be touring across North America in support of their upcoming album called “We Are All We Need.” The tour, also under the same name, will visit several major concert venues. The tour will visit major markets such as Philadelphia, San Francisco, Los Angeles, Boston and Washington DC, among others. The tour will officially kick off on February 6th and it will keep the band on the road through the end of March. Tickets to see the trio live on tour go on sale at the end of the month. Will you be getting tickets to see the band live on their new tour? One Direction Tour Plus Take That News!! This week, the official line up for the highly-anticipated new One Direction tour has been announced to the public. The popular boy band will be heading out on a tour known as the “On the Road Again” tour. The British boy band is currently enjoying a small break from touring after wrapping up their latest “Where We Are” tour. Tickets are now officially on sale for this tour, which kicks off on July 9th, 2015 in San Diego, California at the Qualcomm Stadium. The tour will then visit San Francisco, Seattle, Minneapolis, Kansas City, Indianapolis, Pittsburgh, Baltimore and Chicago. The tour is currently scheduled to wrap up on September 12th, 2015 in Boston at the Gillette Stadium. The band has also just announced that they will be performing in Finland, Sweden, Denmark, Norway, Austria and Belgium. The band also has plans in place to visit the United Arab Emirates, Indonesia, South Africa, the Philippines, Thailand, Hong Kong, Japan and Austria. This massive new tour will feature some of the band’s latest hits as well as their big singles from their years in the music industry. The band has an upcoming album called “Four” set for release later this month, and the group has already revealed that they have been rehearsing songs from this new album to share with fans during their tour. With tickets available now for all of the US shows, fans should be ready to act quickly when getting their seats to see the band live. This week, the Broadway revival of The Elephant Man officially started its previews. The show will be taking place at the Booth Theatre. This highly anticipated production stars two-time Academy Award nominee Bradley Cooper in the title role. The film star is also joined on stage by Patricia Clarkson and Alessandro Nivola. Previews start this weekend, on November 7th at the Booth Theatre. Cooper has already played the Elephant Man (aka John Merrick) at the Williamstown Theatre Festival in 2012, but theater fans are excited to see the actor get the full Broadway treatment with this new revival. The official opening for the production is December 7th, but plenty of attention has already been placed on the limited previews. The production will include a 13-week engagement, and is set to officially wrap up on February 15th. Tickets to see the previews of this show are on sale now, as are tickets to the official production. With a limited number of scheduled shows, fans will want to get their tickets to see The Elephant Man soon before they sell out. One of the biggest announcements of the week came from the wildly popular rock band Nickelback. The group has just announced their plan to return to the tour circuit in 2015, with a new North American tour. According to the announcement, the new outing will start on Valentine’s Day. During this new tour, the group will be promoting their new album “Edge of Revolution.” The album is set for release sometime early next year. Right now according to the announcement, the event will keep the rockers on the road throughout the summer, and won’t wrap up until August 29th, with a final show at the Aarons Amphitheater at Lakewood. The first leg of the tour will wrap up on April 7th, before the band takes a quick break until June. At this time, the band will head out on their second leg of the tour. Some of the major stops along the way include Minneapolis, Dallas, St. Louis and Charlotte. The group will also be making a short trip to Canada, playing shows in Ontario and Quebec. Tickets go on sale next week to the public. The Tennessee Titans are 2-6 coming off the bye having lost two consecutive games to the Washington Redskins and Houston Texans. The schedule does not get much easier coming up with difficult games against AFC North opponents Baltimore and Pittsburgh. The Titans will visit Baltimore off the bye and will have a very difficult time getting to their third win. The Ravens will absolutely need this win if they want to get any separation in the AFC North, so Tennessee should expect to find a talented Baltimore team have crisp, sound execution. Rookie Titans quarterback Zach Mettenberger will need to avoid mistakes, otherwise they will be handing Baltimore a win. Titans vs. Ravens tickets are more expensive than any game at LP Field this season, currently holding an average price of $182 and a get-in of $60. Green Bay sits at 5-3 at the bye and has a great opportunity to put some additional dent into the records of a few playoff contenders. Next up is rival Chicago, a team spiraling out of contention with recent losses to Miami and New England. A third loss in a row and Green Bay would be giving the Bears an early exit from divisional title contention. Following Chicago, the Philadelphia Eagles will visit Lambeau Field. Philly is situated right in the thick of the playoff hunt and this game could have major playoff implications later in the season. 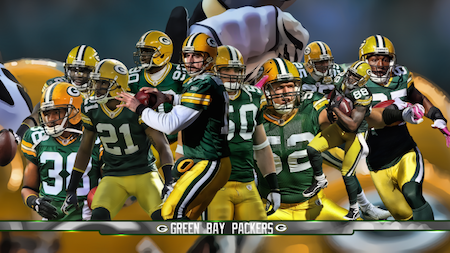 Let’s take a look at each game, as well as view data on Green Bay Packers tickets from Coast to Coast Tickets. There would be nothing sweeter than another victory over Chicago. It would put the Pack at 6-3 and the Bears a full three games behind at 3-6 with Green Bay holding the all-important tiebreaker. Chicago would need a miracle to make up four games over the final seven of the season so Green Bay would essentially have eliminated the Bears from any reasonable chance at a division title. The Detroit Lions can comfortably sit through their bye week knowing they will begin Week 10 as the NFC North leaders. That’s really all the comfort they will have, however, as their next two opponents will not be easy. Below is a breakdown of their upcoming home game against the Miami Dolphins, as well as their road matchup versus the Arizona Cardinals. All Detroit Lions tickets data is via Coast to Coast Tickets. The Miami Dolphins visit in Week 10 for what should be an intense battle won in the trenches. Both teams certainly boast plenty of skill players, including former Dolphin Reggie Bush on the Detroit side, but ultimately the likes of Ndamukong Suh and Cameron Wake are going to swing this game. If the Lions can keep Matthew Stafford upright and put pressure on opposing quarterback Ryan Tannehill, expect another W for the Lions. This is the second most expensive game on the Lions schedule, trailing only the Thanksgiving Day game against the Chicago Bears. That could change if Detroit’s winning ways continue so don’t expect much cheaper prices in November and December with a win in Week 10.